According to the White House, President Trump believes he has the power to fire Robert Mueller after the FBI raided Trump's personal lawyer based on information from the special counsel's team. It's widely reported that the FBI seized thousands of Michael Cohen's records dealing with two women who say they had sexual affairs with Trump. John Yang reports and Yamiche Alcindor joins Judy Woodruff. We return to our second lead story now, the fallout after FBI agents raid the office and the home of President Trump's personal lawyer. John Yang begins with what we know about this unusual step and the many questions swirling around how Mr. Trump might respond. Are you thinking about firing Deputy Attorney General Rod Rosenstein? Today, President Trump wasn't speaking to television cameras about the fate of the Russia investigation. But White House Press Secretary Sarah Sanders said the president thinks it's gone too far, and that he has the power to end it. Does the president believe he have the power to fire special counsel Robert Mueller? Does he believe that is within his power? He certainly believes he has the power to do so. The president triggered speculation about special counsel Robert Mueller last night. Why don't I just fire Mueller? Well, I think it is a disgrace what is going on. We will see what happens. And many people have said, you should fire him. Mr. Trump's anger was sparked by FBI raids on the Manhattan office and hotel room of Michael Cohen, the president's longtime personal attorney. I just heard that they broke into the office of one of my personal attorneys, a good man, and it's a disgraceful situation. It's widely reported the FBI seized thousands of Cohen's records dealing with two women who say they had sexual affairs with Mr. Trump in 2006. In 2016, Cohen paid $130,000 to adult film star Stephanie Clifford, known as Stormy Daniels, as part of a nondisclosure agreement. The other woman, Karen McDougal, was paid $150,000 for her story by The National Enquirer's parent company, even though it never reported it. Some of the documents are said to involve Mr. Trump's communications with Cohen. The disclosure prompted the president to protest today that attorney-client privilege is dead. In fact, not all communications between lawyers and their clients are privileged. There's the so-called crime fraud exception, for communications made with the intention of covering up a crime. A third-party team of investigators will likely be tasked to decide whether Cohen's messages with the president are protected or not. In a statement, Cohen's lawyer said the raids were carried out by the U.S. attorney's office in Manhattan, based on a referral by Mueller. The searches were authorized by Deputy Attorney General Rod Rosenstein, who is overseeing the special counsel's investigation. Democratic Senator Richard Blumenthal of Connecticut called it a seismic step. This kind of raid is extraordinary. It could not have been done if there were not near-certainty that he was going to either destroy evidence, or plan or commit a crime that involved obstruction of justice, and that there was evidence that would be destroyed. Republican Senator Lindsey Graham of South Carolina brushed aside speculation that the president would try to dismiss the special counsel, but added a word of warning. I'm not concerned that he will fire Mueller. I don't think he will fire Rosenstein. That would be the beginning of the end of his presidency, and he's not going to do that. Legislation to protect Mueller has stalled in the Senate, and Leader Mitch McConnell says he sees no need to act on it. Our White House correspondent, Yamiche Alcindor, is here with me now to help fill in the picture. So, Yamiche, you have been reporting on this all day. Where do things stand right now with regard to Michael Cohen and what he's been — this FBI raid? Well, Michael Cohen and his lawyer have been very tight-lipped all day. I called his personal cell phone today, Michael's personal cell phone, and someone literally hung up on me when I introduced myself. But we now know that Michael Cohen has spoken to CNN. And he told CNN that he is very worried about the raids that happened. He said that he really wants all of this to be over. He said that, if he had to do it again, he might have handled that $130,000 payment to Stormy Daniels differently. But there is this idea that Sarah Sanders also said that the president is growing very weary of Mueller's investigation and kind of thinks that he's going too far. So, as things stand right now, the president is tired of what's going on, and that these raids could be something that's really scary for Michael Cohen. But it's interesting that he's saying that he would have done it another way. I think that's first time we have heard him say that. It's first time we have heard him say that. And unlike in the past, where the president is kind of doubling down and saying that the FBI's is breaking into his — broke into his offices, Michael Cohen has actually said that they were very courteous to him and that he really is just very worried. He said he's worried about his family and how this could affect them. He's not someone that is saying, I did everything right. He did say that he believes that he did everything legally right, but there is this idea that he feels that something could go wrong. And these investigations don't have to just focus on collusion. They don't have to just focus on Russia. If they find something that's impropriety, if they find something that is wrong financially, and of course that could also hurt the president if he's involved. 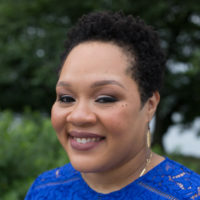 So, separately from all this, there has been talk, Yamiche, you know, about whether the president — what the president is thinking about Robert Mueller, a lot of speculation about whether he may fire him. What are you sources telling you about that? My sources are telling me, and Sarah Sanders said today, that the president believes he has the power to fire Robert Mueller and that he has been advised that he can do that. That's very, very important, because the White House has always said that the president wasn't thinking about firing Robert Mueller, but that is confirmation that he's been advised about how he could do it. The problem is that could set off a constitutional crisis. Legal experts that I have talked to say that the DOJ rules show that the president himself cannot directly fire Robert Mueller, that he would have to go through a chain of command at the DOJ to do that. So, if he didn't do that, that could be a really big problem. And Sarah Sanders said that she didn't think that he was going to have any intention of firing Robert Mueller right now, but she did say that he's frustrated with both the FBI director and Jeff Sessions, so there could be still changes to come.